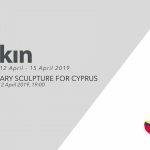 The exhibition “PAPER – A Selection of Turkish Contemporary Art”, which includes the works of our Rector Prof. Dr. M. Turan Aksoy, can be visited in Pilevneli Gallery until March 24, 2019. The first project held within the scope of PİLEVNELİ Mecidiyeköy’s guest program, the exhibition titled “Paper” focuses on the artwork done on paper by over 100 artists. The exhibition brings together artwork on paper in Turkish contemporary art from the 1960s up until today, as well as works that use paper itself as a primary material.